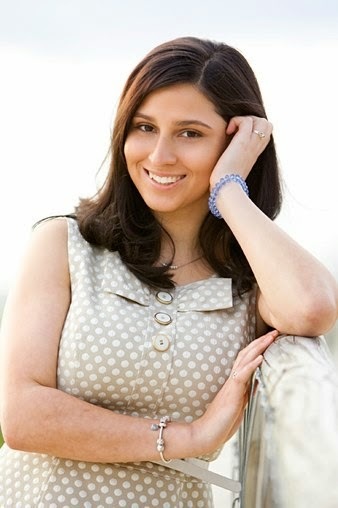 Emily Gale is the author of Girl, Aloud - a story about a girl called Kass, her dysfunctional dad and his plan to make her enter The X-Factor and become a star. 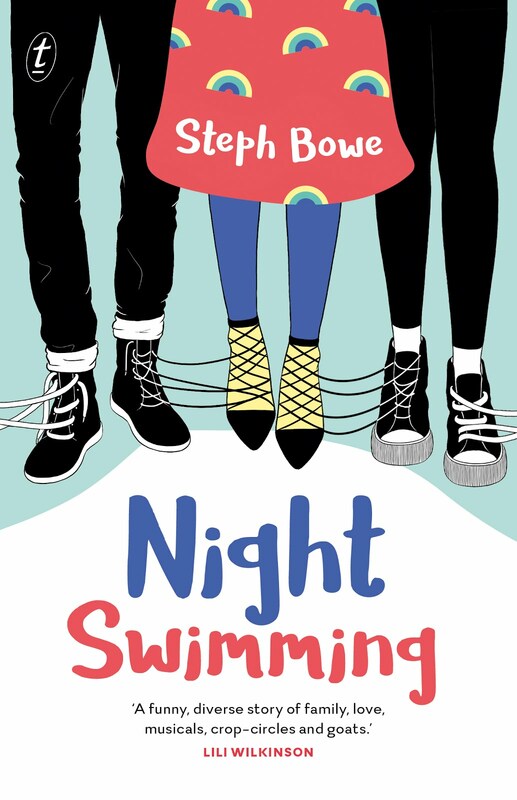 Also: a fight with her best friends over a boy with brown boots, secrets being kept by her mum and a very shifty little brother. It deal with tricky issues but it's also very funny. Check out my review here. Steph: Can you tell me a bit about the process of writing Girl, Aloud? When did the idea come to you? How long did it take to write, and what were the challenges in writing it? Emily: I started Girl, Aloud purely to please myself in the final month of my second pregnancy, which happened to be November and therefore NaNoWriMo time. My plan was to blitz it for a month - partly because I was scared that having two young children to look after would mean I'd never write again (wrong!) but also because I had just experienced a massive disappointment in terms of my writing and needed to drag myself back up. It was a departure in terms of tone - I was depressed about my writing and decided that the best medicine would be to make myself laugh...then I discovered the dark side of my story, which refused to go away. The original idea came years before but didn't get off the ground. A few seasons of watching Simon Cowell annihilate talentless wannabes on The X Factor gave me the inspiration to delve into the family life of one of those singers. I was fascinated by the parents who back them up so fervently - did parenthood make them hard of hearing or is the price of fame really "my child" these days? 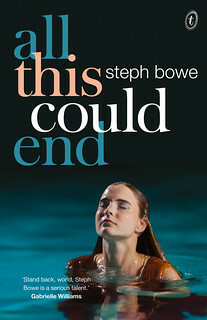 What if there was a girl who really didn't want to be there - what set of circumstances would make her agree to it? What started out as a bit of fun became a bit more than that. I wrote a large chunk of it that November, had an 8-week break to get settled with the new baby, and then took up the story again. It was a quick first draft but then many months of redrafting. The main challenge for me was to bring out the details of Kass's life with her father without making it so overbearing that there was no room for the fun side of the book. 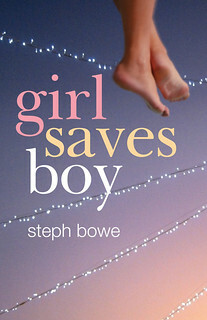 Steph: I love the characters in Girl, Aloud - Kass especially, but even her dad and brother. What came first - the story or the characters? Do you find there is much of yourself in your characters? Emily: The basic idea came first but Kass established herself in my head very quickly. I can't lie - there is a lot of my younger self in Kass even though her set of circumstances are very different to mine at the same age. She's not me, but she's not a million miles from my inner teenager. Additionally, my brother Oliver was the inspiration for Raff - he's the only family member who can claim any rights over character. That was the most cathartic part of the story for me, personally - I wanted to capture my experience of sibling rivalry in a more extreme set of circumstances. I think I also wanted to relive the relationship I had with my brother when we were young - I loved writing the final scene between Kass and Raff; I think it was my way of telling my big hairy 30-year old brother that I love him even though he's a ratbag. The dad crept up on me over several drafts, and by the time he was fully formed I found it very emotional writing scenes between him and Kass. He started out as pure clown and I was only brave enough to make oblique references about his mental health - then a trusted reader said: 'what are you actually trying to say here?' and I knew I had to stop beating about the bush and let him be the larger than life character he is. Steph: What's your road-to-publication story? Did you find yourself with lots of rejections? Was it long process, were any parts particularly difficult for you? Emily: I was an editor of children's books for several years and when I went freelance I wrote commissioned books for Ladybird and Parragon (pre-school books), but I was determined not to use contacts when it came to novel writing (stubborn). I got my first agent very quickly, and then managed to unget her. That's when I wrote Girl, Aloud. Despite a lot of interest in earlier drafts (that was hard, that so-close-but-no-banana phase) I had to wait several months for the agent who could see exactly where the story needed strengthening and was willing to wait while I fixed a few things - Louise Burns at Andrew Mann Ltd. What a great moment. Having lost my first agent I really needed that boost. I hope it goes to show that writers can have more than one life. Signing with my agent happened when I was still living in London, and it was while I was in the process of emigrating to Australia that Louise was subbing my novel. I think that helped! There is nothing that will take your mind off the submissions process more than leaving all your friends and family and moving to the other side of the planet - really quite distracting! Still, the waiting was awful. I checked email obsessively and will never forget the moment there was one sitting there with the word OFFER! in the subject line. I went into panic mode and decided that the first thing I had to do was finish the washing up. Shortly afterwards I slapped myself into sense with my rubber gloves and did some more appropriate celebratory things, like bonkers dancing and drinking champagne. Emily: I can't deny that I desperately wanted the publishing deal; I was a mule about it, couldn't give up. And after I got the deal I would find myself breaking into a massive proud grin whenever I was alone and suddenly remembered "oh yes, I did that!" But it's complicated (the kind of complicated I wouldn't give up for the world, mind). I find being published exhilarating but completely terrifying. The worst thing is the temptation to compare one's writing or career to other authors. That's a killer. By far the most rewarding part is the writing - not every day, but those moments when the words flow so freely it's the writer's equivalent of sprouting wings and taking flight. Nothing feels as good as writing a scene that works. On the other hand, the untold riches are yet to arrive in my bank account (some kind of technical error I'm sure). Maybe those feel really good, too. I just doubt they feel better than the writing. Steph: Imagining you're able to travel back through time and meet yourself as a younger writer – without tearing the universe apart – what advice would you give her about writing and life? Emily: I should probably tell my younger self to quit the appalling, heartbroken poetry, but I know she's going to have a fabulous evening sharing that poetry with a friend in 10 years' time so I can't deny them that. Oh, how they will laugh. So I think I would just tell her to try harder to be brave, to spend less time moping and staring out of the same window, and more time writing. My regrets are mainly things I didn't do, or say - the curse of the shy! I wish my younger self knew, as I do now, that I'm never the shyest person in a room. Not that I don't still have those moments of utter dread, but now I know it's worth going through them for the feeling you get on the other side. Emily: I've just finished another teen novel, which is about celebrity culture and a girl who finds that her home changes from being a site of extreme conflict to the only place she feels safe. I've also got an adult novel underway, and Parragon are publishing two picture books for me this year. Oh dear, I sound a bit all over the place now but that's the truth of it - I love writing in all of those genres. 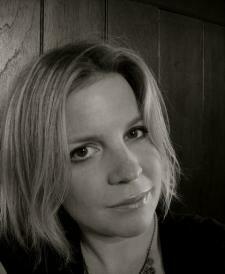 You can find out more about Emily Gale and Girl, Aloud at her website: http://emilygale.co.uk/. Girl, Aloud is also on Amazon. And follow Emily on Twitter, too! And, on the 29th of April, Girl, Aloud is being launched at Readings Hawthorn! You can find all the details of that on Readings' website, if you're a Melburnian interested in attending.